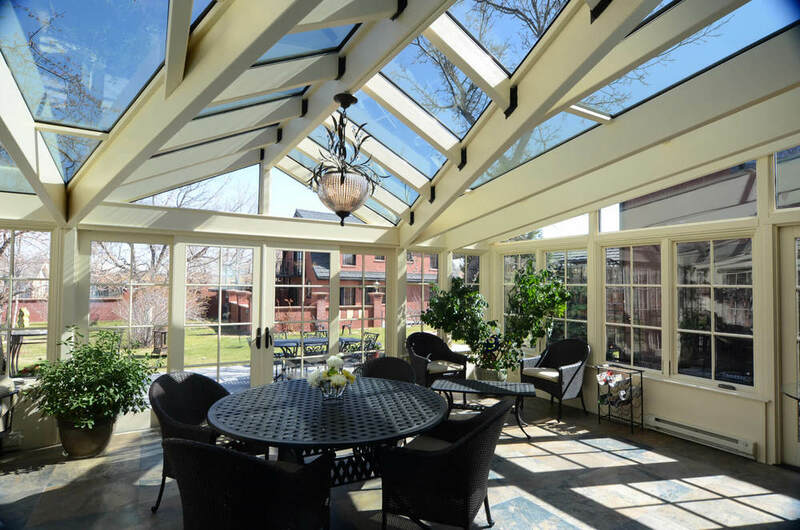 When you choose to work with Colorado Sunroom and Window for your Home Remodeling or New Specialty Addition Project, you're working with the experts in the industry. Nobody has designed and constructed as many Sunroom projects in Colorado as us, and nobody has been in the business as long as us, nobody! When you investigate the prospect of remodeling your home, there are many important questions to ask. How do I choose the right company to make my remodeling experience positive? Does the company provide quality energy efficient products and also create beautiful designs? Are the staff knowledgeable and the installation crew experienced to perform the quality of work I expect? Has the company proved its performance by providing referrals, with recognition through industry awards, or written articles about past projects? With Colorado Sunroom and Window Distributors, we take the guess-work out. Our reputation preceeds us, ensuring that when you hire our team of professionals, you are receiving the highest quality in service and product value the industry has to offer, after all, we've been in the business for over 40 years! Our customer is the most important person in our company. We treat the customer relationship like we are partners. This really is a business relationship when we enter into a contract and without our understanding of your needs fulfillment of your dream project will suffer. We will do everything in our power to meet your needs and provide you with the project that will be one of the best experiences of your life. Even though we focus on projects that have large percentage of glass in them we have a long and vast experience of all types of construction. The fact is, we are dedicated to being on the cutting edge of construction technology for implementation and product. For most of our construction tasks we use trained employees from excavation for the foundation to doing the final piece of trim. Our carpentry personnel is really talented. Our president, Thomas Thompson holds a Commercial Class B License in Denver and similar ones in 15 other municipalities. He also holds designations of Certified Graduate Remodeler(CR) and CAPS(Certified Ageing in Place Specialist) designation with the National Association of Home Builders. We opened our door for our first remodeling company in the late 70's and have never looked back. We are now one of the leading Remodeling companies in Denver. At the prestigious C.A.R.E. Awards(Colorado Award for Remodeling Excellence) put on by the Home Builders Association of Metro Denver, Remodeler's Council we were awarded the "2007 Remodeler of the Year." Please look at our awards page. We have been bestowed with several awards, local and national, and pride ourselves on initiating projects that have always been successful and result in happy customers. Our longevity in business will assure you that we have the expertise to tackle any design problem or construction task.